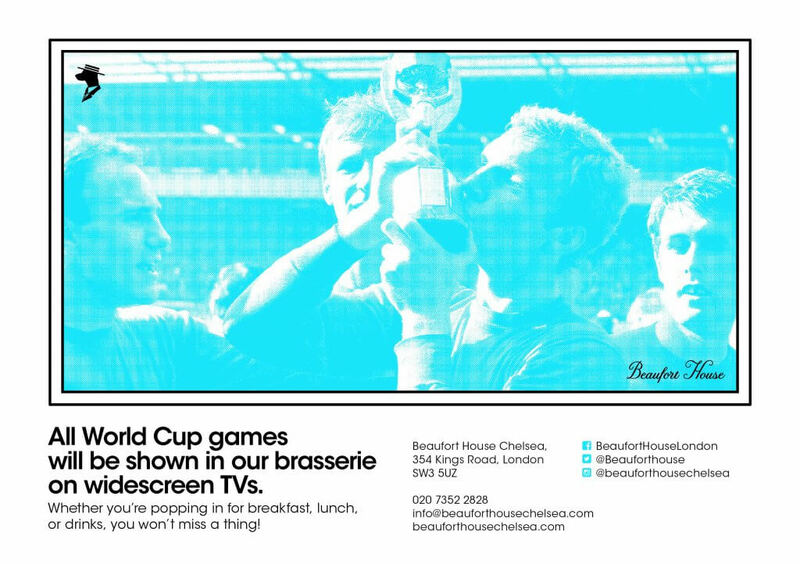 If like most of us, you can’t be in Russia this summer, you’ll find a fantastic atmosphere to watch the FIFA World Cup games at Beaufort House Chelsea. We’re showing all the games live, so why not pull up a seat in our cocktail bar or get a group together & book our exclusive Club Room for a private screening and join us to cheer on your team throughout the tournament. For the FIFA World Cup 2018, you’ll find our stylish cocktail bar open to both members and guests alike, giving you the ideal spot to watch the games. You can enjoy a wide selection of cocktails, wines, champagnes, and spirits at Beaufort House Chelsea, as well as our dinner menu, or maybe just some tasty bar snacks whilst you cheer on your team on our flat-screen TV’s.